Buying a TV these days can be a bewildering affair. There are so many types and features to choose from and a lot of promises are being made about what the TVs will do for your life. And, we admit it (guilty as charged! 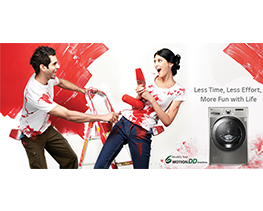 ), sometimes we do use more than our fair share of jargon when we talk about our products. 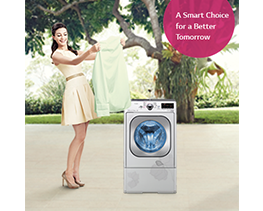 There’s just so much great, cutting-edge technology packed into the TVs and we want to talk about it all! And some of it does get kind of techie, so it’s hard to break it down in an easy way. Also, some features have become so common that we don’t really talk about them anymore. Full HD is a great example, and an important one, because these days 3D is becoming more and more popular. 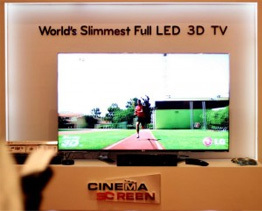 In fact, some of our competitors have criticized LG CINEMA 3D TVs, raising questions about whether LG CINEMA 3D TVs are HD or not. Well, let’s find out what being Full HD really means and you’ll see why people are lining up on our side in this debate. First, Full HD is actually pretty simple. 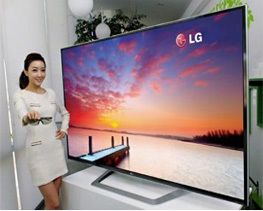 HDTV, or High Definition Television, is generally defined as having 1080 horizontal lines of resolution. Full HD TVs are able to accept high definition signals and show them on the screen with those same 1080 lines. 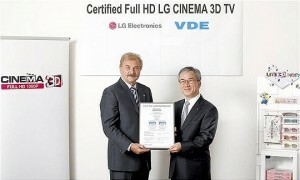 And if the question is, are LG 3D TVs also HD, the answer could not be clearer. Here’s how it works: In 3D mode, the TV produces two stereo images, each of which has 540 lines. Using LG’s FPR, or Film Patterned Retarder technology, those two images are harmonized by our 3D glasses, giving viewers a single 1080 image with a lot of depth. And that’s it in a nutshell, Full HD 3D TV. And remember, you don’t have to just take our word for it. Recently, the Association for Electrical, Electronic & Information Technologies (also known as VDE, from the original German), certified our 47LW570S model as Full HD. The VDE is one of the largest, most respected associations inEurope and it’s a privilege to have their recognition. We’ve come a long way since the days of standard definition, with its average resolution of about 500 lines! By the way, LG CINEMA 3D TVs have also been certified as flicker-free by Intertek and TÜV. What does that mean? 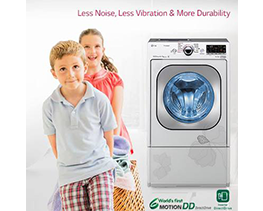 Well, unlike conventional 3D technologies that use expensive shutter-type glasses that often leave viewers with feelings of vertigo, viewers using an LG CINEMA 3D TV enjoy their 3D affordably and comfortably. No Flickering! We think that’s a winning combination: Beautifully crisp, Full HD images seen in total comfort, and without spending a fortune.